I’ve been going a little bit crazy for pears lately. In my heart, fall has arrived, no matter what the heat and humidity seem to think. These particular red pears caught my attention while I was walking through Reading Terminal Market last Friday. I had dropping in for chard and eggs and ended up walking home laden with all that plus avocados, an enormous cabbage and two and a half pounds of these glowing pears. It’s funny. I’m not all that adventurous when it comes to pears. I tend to stick with Bartlett or Bosc. For a few weeks each fall, I’m hopelessly in love with Asian pears. I like to pickle the tiny Seckel pears. But really, that’s about it. Until I bought this bundle, I don’t know that I’d ever brought red pears into my kitchen. That’s all changing now. I now declare myself a red pear convert. Cored and chopped, I ended up with just over 5 cups of fruit. I didn’t peel the pears because that crimson skin was integral to their charm. Without it, how would you know that these pears were any different from my standard Bartletts? In the past, I’ve made pear jam with ginger, with cinnamon and with vanilla. A lavender infusion seemed like the next logical step (as least, it did in my head). I’m quite thrilled with how it turned out. The flavor of the lavender nudges up beautifully against the slight spiciness of the pears. I think they are perfect partners. If you can’t find red pears, don’t think that you have to skip this recipe. Feel free to use any smooth skinned pear you’d like (except Asian pears. They’re low in acid and need special treatment). It’s a very nice way to welcome fall. 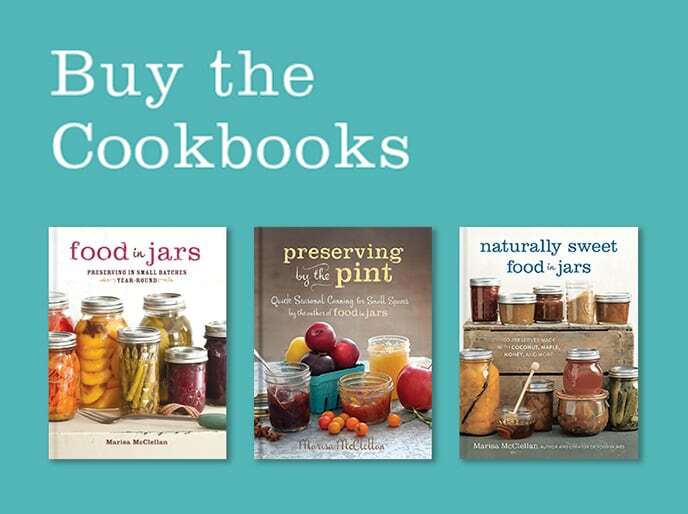 Prepare 2 pint jars or 4 half pint jars and a boiling water canner. Place lids in a small pot and bring to a very low simmer. Combine chopped pears and sugar in a medium, non-reactive pot. Stir to combine so that the sugar starts to bring out the liquid in the pears. Place lavender buds in a muslin spice bag or tea ball. Place in pot with pears and sugar. Add lemon juice and stir. Put pot on stove and heat to high. Bring jam to a boil, stirring regularly. Continue to cook over high heat until jam thickens. Use plate test to check set. When jam is done (mine took 15 minutes to cook), remove pot from heat. Pour into prepared jars. 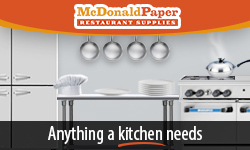 Wipe jar rims, apply lids and rings and process in a boiling water canner for 10 minutes. 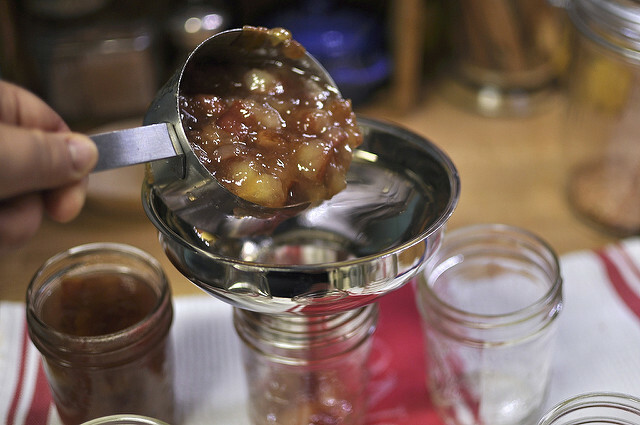 When time is up, remove jars from canner and let them cool. Once jars are cool enough to handle, remove rings and test seals. Sealed jars can be stored in a cool, dark place for up to one year. Unsealed jars should be refrigerated and used relatively quickly. This looks amazing. I think it’ll make it on to my preserving list for the month, one of a multitude of pear jams. Thanks! You always come to the rescue! I have 4lbs of organic red pears on my counter and was hoping you would have a pear jam. A few questions: I grow my own lavender, never using any pesticides around them. Do you think there is an importance difference between that and food grade? Also, any tricks for coring pears with ease? They seem like such a bear. I call for food grade because I want to ensure that people don’t buy lavender buds that are graded for soap and fragrance making instead of eating (they are handled differently and can be treated with additional oils which is not something you want to eat). The lavender you grew in your garden should be just fine. I break down my pears by quartering them and then laying each quarter down on one of the cut sides. Cut the core away on a diagonal. You lose a bit of flesh, but it is so much quicker than doing a careful core with a paring knife that the trade off seems fair. I core pears with a melon baller. Easy peasy. I start at the top to pull down the part with the stem, and pull that out by hand, and then use the melon baller to take the middle out. I usually can several hundred pounds of pears a year and this way I can do them quickly. The Oxo melon baller is WONDERFUL to use. In fact, I just used it a couple of hours ago to serve pears from the garden at lunch. The melon baller is perfect for taking bad spots out of pears, too. It is important to have culinary lavender…lavender that has less camphor, therefore will not give you that medicinal/soapy taste. Angustifolia lavenders are the choice of lavender experts. So your garden lavender is not necessarily a choice to use for cooking, it just depends on the species. Great recipe! Trying it today as these are the two things that I have overflowing in my kitchen right now (except I will be using bartlett pears off my tree). Lavendula Augustifolia is commonly known as English Lavender, for those who are looking to add some to their gardens. Oh my! This sounds fantastic! I hope I can get my hands on some food grade lavender. I have a whole bag sitting here in my utility room of the craft grade. Boo. An apple corer works well for coring pears, too–I’m lazy and I am not a neat slicer. Pears may be my favorite thing to preserve. I like them raw in salads, but they are transformed like few other fruits when jammed. It’s what I use! An apple corer worked great for me for this recipe. Awesome! My best friend just bought some lavender from fairway because she loves the smell so much. I’ll have to give her the recipe. Thanks! I love pear jam! I’ve got a few pounds from last weekend’s orchard adventure that I need to preserve and will try this recipe…but is there a step missing? I don’t see where to add the lemon juice. Oops, thanks for catching that! Lemon juice step added! Your jam looks so beautiful in that last picture! There may be an experiment in my future in which I make this jam and then see what kind of cheeses it pairs well with! Gruyere, maybe? That is stunning. Gorgeous color. Can’t wait to make this! I love any fruit that comes in an exotic color. I’ll be keeping my eye out for red pears to make your lovely jam! 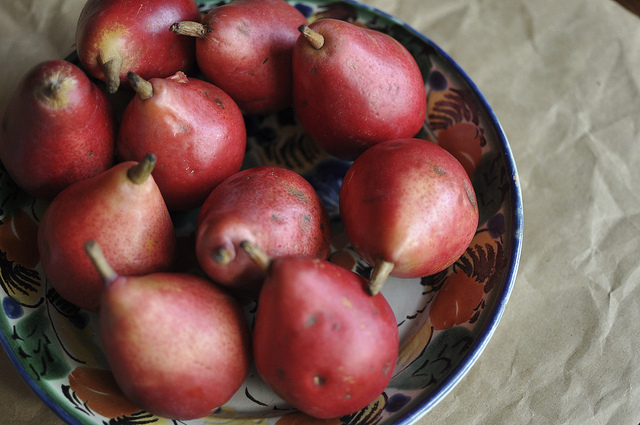 Could red pears be used in your Pear Vanilla Jam recipe? I’ve been wanting to make that one, but I prefer the red pears. I think if the red skins are left on it would be very pretty. Sure! Any smooth-skinned pear works in the pear vanilla jam. How serendipitous that I nabbed a bag of seckel pears yesterday from work (Taste of Home photo studio). Question: by lavender buds do you mean dried or fresh from the garden? BTW, loved the article we did on you for Aug/Sept Country Woman! I mean dried lavender buds. I add lavender infusion to pear butter too. Last year, being low on fruit and money, I made an Apple Lavender jelly (with a hint of orange peel) and a tea jelly made with Rasberry Zinger, a handful of mixed berries for color, and a little of my lavender infusion. Everyone loved these experiments. A little lavender infusion added to sun tea or lemonade is wonderful! Yes. If you’re buying it from a spice shop, chances are good that it’s the variety to be used in food products. Beautiful post, love the simplicity of this recipe, KUDOS! This recipe has no pectin while your vanilla pear jam does. The have a similar ratio of fruit to sugar. How critical is pectin in the vanilla pear jam? I have 15 lbs of pears to save and want to avoid pectin to the extent I can. 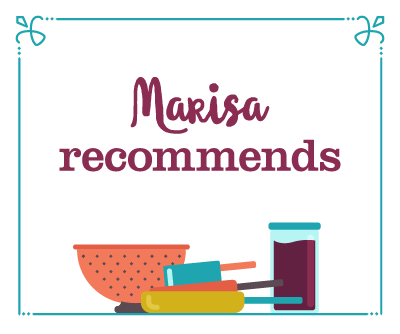 Thanks for all your delicious recipe and spice mix suggestions. I think the lemon takes the place of the pectin. Someone commented on the Vanilla Pear Jam page that they substituted lemon juice (and the peel and seeds in a muslin bag) for the pectin. I’m not an expert, but I that’s why it’s okay to make this one without pectin. you can make all jam without added commercial pectin. i add an apple or 2 to most of my jams and always the juice of 1 lemon. 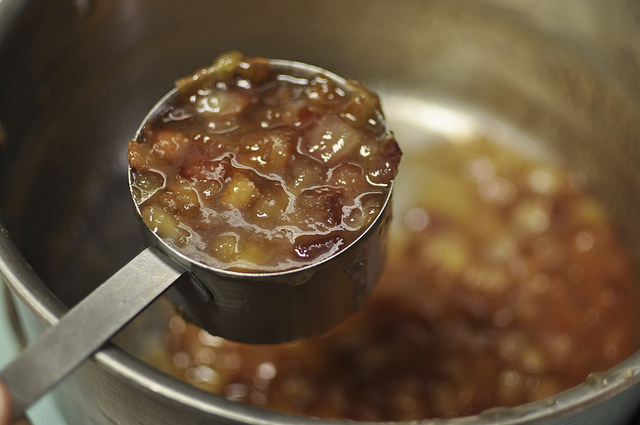 The reason there’s no additional pectin in this recipe has to do with the size of the batch. When you’re working with just a couple pounds of fruit, you’re able to cook the water out of the fruit before the natural pectin the fruit softens because of the cooking time. I don’t know about anyone else, but I had some big problems with this recipe. Granted, I used red Barlett pears. Wonder if that was the issue? They were ripe, but not overripe. Erin, I’m so sorry to hear that you had issues with this jam. It sounds like there was a problem with your pears. Sometimes, you get a bad batch and no matter what you do, they just won’t soften. As far as not tasting the lavender, it might be that your batch was a bit old. It happens on occasion. But I am so sorry! I made the recipe last night and found it too sweet. The first taste was the pear flavor we were looking for, followed by lavender and then completely overwhelmed by the sugar. I am wondering if I can significantly decrease the pear to sugar ratio and what I should look out for if I do. I am thinking of doubling the pears and halving the sugar. Thoughts – words of wisdom? Bonny, jam is meant to be sweet. 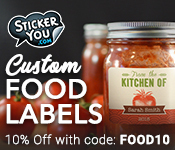 However, if you’re really interested in reducing the sugar, you should read the section of this post entitled On Reducing Sugar: https://foodinjars.com.s164546.gridserver.com/arugulapesto/2010/12/canning-101-how-to-can-creatively-and-still-be-safe/. You could also look into Pomona Pectin, which allows you to use less sugar without compromising set. The exact same thing happened to me: my pears didn’t break down, my sugar is caramelized, and I can’t taste the lavender a bit. I used green Bartlett pears because they were all that was available to me. I wonder if there is something unsuitable about Bartlett? Perhaps it would be worth adding a warning about this to the recipe. What a shame! P.S. My lavender was not old – I picked it this afternoon. This happened to me, also – I was using Bosc pears. I wonder what to do with the pear caramel now, though! I didn’t know where to post this comment, because every one of your postings is amazing. We just bought some rural land and are fixing up a farmhouse and then I hope to have a garden full of food next summer and fruit trees and berry vines, etc, (hey I can dream, right, lol). 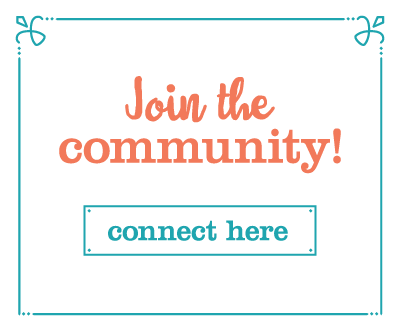 I find your blog to be an amazing source of inspiration. Thank you! I’m going to post you as one of my faves on my blog’s list of faves. Thanks again! Keep up the great work! Goodness, thank you! So glad you like the blog! 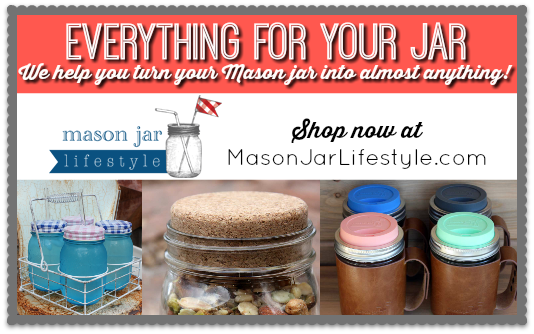 One question–I can see that if I can all I’d like to I’d be buying a LOT of jars! Any tips on where to find jars for less? I’m going to post on my fb to friends who don’t see themselves canning anymore but any other tips would be wonderful! I like hers and yours really much!! I made this jam this afternoon. Outstanding. The recipe only made three half pints for me, but, oh, what half pints they are! Having a yield that’s half a pint different is within the normal variation of jams. It does a great job of taking care of those bartlett pears that are calling to you from the farmer’s market- around here, $15.00 a bushel! I made this tonight substituting cardamom for the lavender and it is wonderful. The flavor is rich and warm and the fruit is floating in a blush base, colored from the skins. Somehow red did not go with lavender for me – such a French flavor to me at least – but the South Asian flavor of the cardamom just seems right with the red and burgundy of the pears. Thanks for the inspiration. My spice shop also carries pure lavender extract–could I use that instead? And if so, any idea how much? I just finished peeling 10lbs of pears from the tree in my yard. I doused them with lemon juice and packed them into vacuum bags and tossed them in the freezer. I will preserve them in small batches but had to get them in before the deer ate them! I am using a recipe for honey sage pear jam and happened to notice my Lavendar was blooming like crazy….made me wonder how it would go with the pears….and here you have a recipe just waiting! I can’t wait to try this!…..thanks!! Can you sub peaches for the pear? 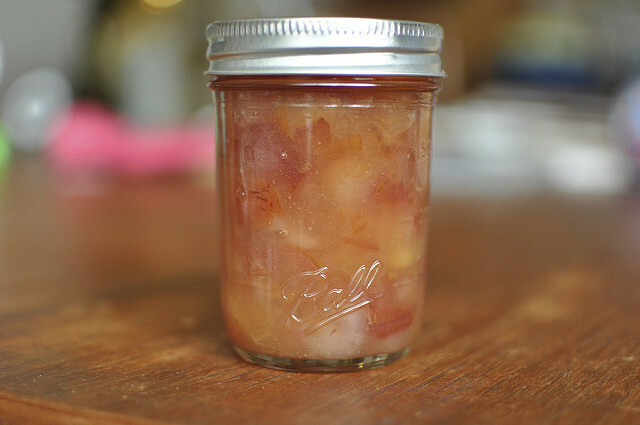 I just got 2 lbs of the first harvest of Peaches from the western slope of Colorado and want to make either a peach lavender jam or a peach jalapeño jam but only for small batch canning. You know 2 to 3 1/2 pint jars. You should easily be able to swap peaches for the pears in this recipe. The only thing to do differently is that you’re going to want to peel the peaches. I have a jar of commercial lavender sugar that I got as pry of a pack and I’ve barely used it. I would like to use it in this recipe but I’m not sure how much to use. I’m sure with tasting it, no one could really tell me but I’m hoping for some pointers… If I taste the jam mix before its fully cooked, will that give a good indication of the flavour ratios of the finished product? And if I end up adding a couple tablespoons more sugar than the recipe calls for, will that impact on the final texture? Thanks so much in advance. 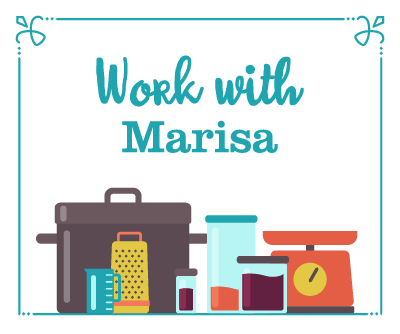 I’m looking forward to trying more of your recipes as I get more experienced in food preserving! I want to leave the whole lavender bud IN my jam, is that safe? I don’t recommend it. They can overwhelm the flavor of the jam over time.